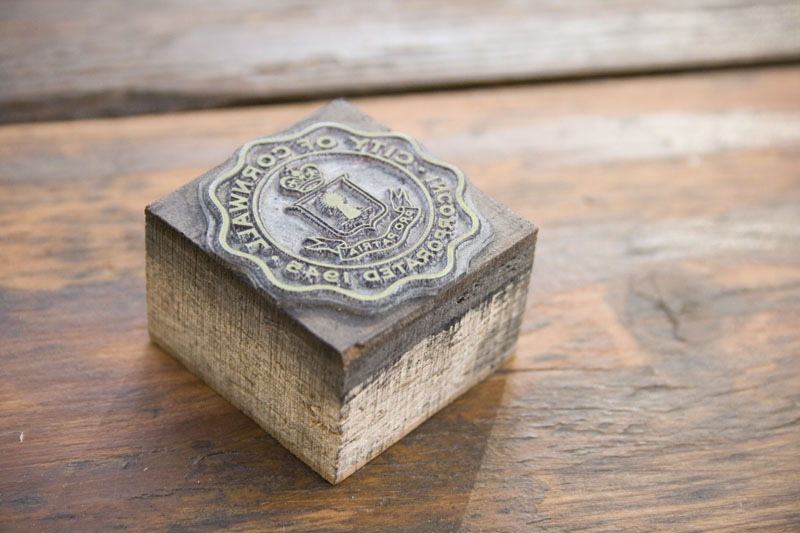 In this week’s edition of Cuts & Caps we bring you an old seal for the City of Cornwall, Ontario. I think we actually have a bunch of these in varying sizes. We bought our press from Cornwall, Ontario from a retired printer for the Cornwall Standard. He had our beautiful Claudette (the name of our press) sitting in his basement for many years, occasionally printing wedding invitations, business cards and announcements for local businesses. Fun fact about Cornwall: It was originally called Point Maligne, then New Johnstown and then later renamed Cornwall for the Duke of Cornwall, Prince George, in 1834.